Once upon a time, there was a woodcutter, Ram. He was hardworking and had been doing woodcutting as a ancestral (family) profession. He was in this business for good about two decades. Ram’s daily schedule was to wake up in morning, get ready and go to the jungle to bring wood for selling in the village market as a fuel. His experience in all these twenty years were mixed, some days he found good wood and buyers with least heckling, other days neither of these. In old days in India, seeing a saint meditating was a common siting, specially outskirts of town or in jungles. One day a saint arrived in the jungle where Ram used to go for cutting wood. This saint started meditating at an open space under a tree. A couple of days passed, he was in meditation. Ram happened to cross this place and noticed the saint. Ram kept on cross this area daily for want of good quality wood. He noticed this saint meditating everyday. Ram was extremely impressed with the radiance of this unknown saint. The steady, unfazed and peaceful demeanor used to make Ram’s day calm, monetarily rewarding and merrier. When you’re around enlightened masters, your life changes for good, somehow things start falling in place. One day, Ram felt that he must help the saint by keeping some food for him. It will help the saint continue practice without wasting his time on searching for food. So he brought honey from nearby apiary, without disturb the beehive much thus avoiding disturbance in the area. Once honey was available, he kept this honey and water near the saint and left for the day. Saint was in deep meditation, completely unaware of the number of days passed by or someone keeping food for him. How long can you keep ants away from sweet? Ants came soon and rather than being a help; honey became a nightmare. Same evening some mischievous people also crossed this place. These people threw sugarcane sticks at the saint with full intentions to disturb his meditation. Thankfully instead of hitting the saint, these sticks fell nearby. Now, these ants got diverted to the sugarcane stick! One must look at the intentions behind actions, it is not always the case that someone throwing a stone at you, he/she is likely to hurt you. Someone’s good intentions may be deterrent whereas bad intentions can be a boon. It happens occasionally that your colleagues help you. If this assistance does not make you learn, possibly the long term outcome is harmful to you. On the contrary if your colleague does not help you; may be it is good for you because you will learn harder way with mistakes. These mistakes can teach you many ways not to do something, or how to do other new things. Isn’t it? Perspective! Bad things may not happen to good people. If you feel something is bad in your life, possibly you need to involve yourself in more of good work. My sister – Preeti – told me this story recently, I liked it and so I put it here. In the movie there was a thief – Sajjal. Nothing apparently to learn from an outlaw. However, he was a creative thief. Wherever he stole from, he made creative designs of breaking-into a home. When he goes to steal, the hole he makes in wall is in some design. If he is not satisfied he improves it and once that is done, he proceeds to his actual job of stealing. Creative person can be creative in whatever situation. Not just that, when Sajjal was hired to rescue one of the leader of revolution (Aryak), there too Sajjal did things creatively. The hirer – Kulbhushan Kharbanda – had his heart in his mouth but the thief does not change his attitude and approach. Vasantsena has another interesting lesson to teach us. She falls in love with Charudutt a poor artist – who is already married and have a small baby boy. The last scene of the movie is the most stunning to me. Vasantsena is pursued by Samsthanak (Shashi Kapoor). Shashi Kapoor played the role of a mad lover of Vasantsena so well that I hated him in the movie, also I could not recognize him until I saw the list of artists. In the poster he is seen above the title of movie. Samsthanak is so madly in love that he keeps on repeating her name at his various appearances on screen. However, Vasantsena is scared of him, she wants to run away from him – in Charudutt she finds solace. Both kind of fall in love, however, in the end when Charudutt is released from the death sentence – on the gallows literally – he runs to his family. Both his wife and Vasantsena are also running happily to hug him; he grabs his wife and not Vasantsena. It kind of breaks Vasantsena, what she learns from this is – i. accepting that Charudutt has a family, ii. She must accept their family and do not get into it, iii. She must love what she has and accept the love showered on him by Samsthanak. The last scene is very touching. After the revolution, Vasantsena’s brothel is empty. In last scene she opens the door and takes Samsthanak in – who has been beaten by citizen. Love needs to be unconditional, if there is a desire thats not love, that is business. What did you learn from Utsav? Off late, I have – kind of – become forgetful. One of my friends shared someone’s phone number with me, a couple of days later, I bet with him that I ddin’t get that number. We checked Whatsapp, SMS, emails and not to miss address book too. I almost won the bet, thankfully it was not a monetary bet. I still kept on searching – in my “notes” app too I could not find. My friend told me the whole incident and I got a hunch, I think he did share the number! But to my utter surprise I could not find the number anywhere. Well, I asked him that number again, he was bit annoyed yet gave me the number. I recalled – he had shared such number once – though I did not remember the whole number. It made me think about what happened in this situation? This incident made me understand that many a times we take things for granted, we tend to ignore many things. When we ignore things we are likely to be bodily at one place and mentally at another – in some fantasy or illusionary world. Isn’t it? The illusion we create through such mental images either become our perception or mend it and thus our limited (or at times incorrect) realities are created. For example – my forgetting my friend’s sharing the number with me as “You didn’t share the number”. If such incidents are not realities how do we know what is reality? In fact I think we need to ask ourselves – what is reality? Life is simple – the illusions we assume as reality make it difficult. The fantasy we create are based on our perceptions or our belief of some reality. Our perceptions make our life difficult isn’t it? Let us say – an illusion – “our religion is under threat!” If a religion is one of the biggest in terms of number of followers – what is the threat? We are so preoccupied with our own illusionary world that we miss many small things needless to say important or that which are the realities. I suggested this topic for LBC, however for last couple of weeks I was not able to write regularly. You can read my fellow bloggers post on this topic at – Ramana uncelji, Shackman and Maria. I am trying to catch up with my backlogs of weekly blogs on spirituality, management and business. Chaipau, Dadaji, Friday Loose Bloggers Consortium, happiness, ice age, Kung Fu Panda, meditation, Peace of mind, Salaam Bombay, squirrel, The Buddha, What is home? When I read the topic for Loose Bloggers Consortium, the very first thing came to my mind was this video from Kung Fu Panda 2. The other thought was that I have written a lot of blogs related to peace of mind earlier. In the blog Peace of Mind – I started of thinking peace of mind comes from owning something or being at peace is independent of owning anything? I reasoned out that peace of mind is not in achieving something in life. However, peace of mind is being at peace with our mind in the present. Because the more we think more we complicate life – life is, simple! In another blog Arrived… where? though peace of mind was not straightforward point of discussion, but something related was discussed. My brother in law asked me a very simple question – ‘what is home?’ ‘what is school?’ How do you define home/school etc” In that same discussion the conclusion was – home relates more to a feeling – comfort, peace. In one more blog Dichotomy on happiness the question I ask was – happiness requires fulfillment of the CONDITIONS we create for being happy or it is a feeling irrespective of what happens in our life/to us? These conditions, to me, are never ending… as it happens to the squirrel in Ice Age-Trilogy and to Chaipau in Salaam Bombay“. Dichotomy of happiness is you decide on what you enjoy doing or you remain happy irrespective of the situation you are in…. In all these thoughts, the real peace of mind was understood when I first saw Dadaji (Dada Gavande), here is a tribute blog to Dadaji. “When I saw him for the first time, and later as well, I was completely awe stuck, everything, thought and feeling vanished. So much of serenity was flowing off his face that I had nothing to talk or ask.” If you want to experience such peace of mind, you either have to meet an enlightened master or be enlightened yourself. There were about 10 or more blogs in which peace of mind was touched upon. For more of my thoughts on peace of mind, read What are you searching for? where really the question is to you. In another blog Is religion another organized crime? the point is have religion lost their meaning? In the blog Money what is it? I tried to create another fictitious currency. In another blog Fish will fly in its next birth how my sister tried pacifying her daughter whose fish had just died. This topic for LBC was suggested by Ramana uncleji. You can read other blogs of other Loose Bloggers Consortium members at Ramana Uncleji, Shackman and Lin. Those all points apart, I have always been critical of Hinduism. However, recently, I was listening to some hymns in Sanskrit. The hymn sounds so different and interesting. I could only understand a part of it when I heard it for the first time. Naturally the hymn is in Sanskrit so it was not straightforward for me to understand. The part which I could make out was – “Vanaspateya shanti”. The hymn speaks about peace of biological life or plant beings. It had stanza for peace for everything. I started searching for this hymn. In the above shloka and Shanti mantra, the scholars are praying for peace for every living being. When we see the kind of violence around us – terrorism or wars – this kind of philosophy fascinates me. The religion evolved in India have the concept of inner search, peace and renunciation. This is something whole world needs to learn from Indian religion. There was a company Kingfisher Airlines which owed 7000+ Cr (70+ billion INR or well over 1B USD) to a consortium of banks in India. The company could not pay its debts; its owner/company recently was declared ‘willful defaulter’ by few banks. Now, the owner Dr Vijay Mallya is shifting to England with all funfair. This event and the total debt (sourced from a LinkedIn post above) makes one seriously think – is it true that “The wall streets fraud” as Bernie Sanders US presidential candidate has said earlier? In India, we have very contrasting examples – one side there were many farmers who were committing suicide because they couldn’t repay loans and on the other side we have banks with NPA (Non Performing Assets) & professionals who do “Corporate Debt Restructuring” resulting in many if not all NPAs in future. At present Indian PSU’s NPA is more than their Market Capitalization. Isn’t it “a subsidy transferring wealth from the rest of us to a select few” as the article rightly says? Just imagine – the debts given above, tax evasion, Satyam case and many other cheating happening not just in India but in almost every corner of the world. For me ‘wall street’s fraud’ is just a metaphor, there are many more frauds we are confronting daily. I have written on a few earlier – Volkswagen & Toshiba, Rajat Gupta and Moral Markets! to name a few. Are we really maturing as human race? Or we have become more deceptive and satanic? Just another example is the double speak of developed world on saving the earth – read Profit over the Planet. The point, after lamenting so much is always – how do we solve these problems? 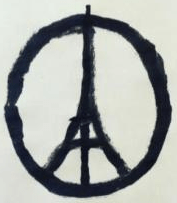 Only way I see is spirituality – Paris attacks – solutions please moving towards being saint in suits rather than Thief in Tuxedo. Related blogs – What are you searching for?